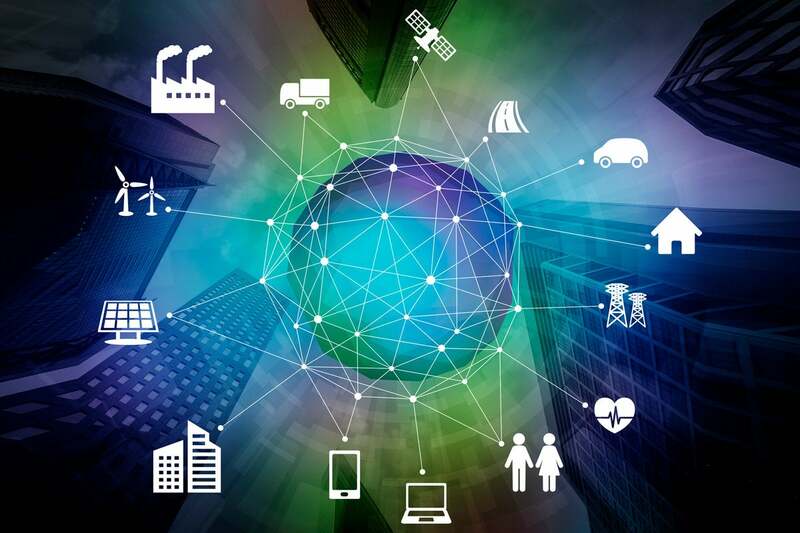 Cisco's annual look at the state of the internet finds that IoT, tons of new internet users, video surveillance, and IP WANs drive traffic growth. Cisco foresees a massive buildup of IP traffic – 4.8 zettabytes per year by 2022, which is over three times the 2017 rate – lead by the increased use of IoT device traffic, video, and sheer number of new users coming onboard. The company also says there will be 4.8 billion internet users by 2022, up from 3.4 billion in 2017. Those predictions are from Cisco’s Visual Networking Index (VNI), its annual look at the state of the internet culled from actual network traffic reports and independent analyst forecasts. One of the more telling facts of the new VNI is the explosion of machine-to-machine (M2M) and Internet of Things (IoT) traffic. For example M2M modules account for 3.1 percent of IP traffic in 2017, but will be 6.4 percent of IP traffic by 2022, said Thomas Barnett, director of service provider thought leadership at Cisco. By 2022, M2M connections will be 51 percent of the total devices and connections on the internet. A slew of applications from smart meters, video, healthcare monitoring, smart car communications, and more will continue to contribute to a significant growth in traffic. What that means is customers and service providers will need to secure and manage M2M traffic in new and better ways, Barnett said. SD-WAN traffic was 9 percent of business IP WAN traffic in 2017, and will be 29 percent of business IP WAN traffic by 2022. SD-WAN traffic will grow five-fold from 2017 to 2022, a compound annual growth rate of 37 percent. Business IP WAN traffic will double from 2017 to 2022, a compound annual growth rate of 9 percent, and IP WAN traffic will reach 5.3 exabytes per month by 2022, which is the equivalent of 1 billion DVDs per month, or 2 million DVDs per hour. Business IP WAN traffic was 3.6 exabytes per month in 2017, the equivalent of 889 million DVDs per month, or 1 million DVDs per hour. Business IP WAN traffic grew 17 percent in 2017, and IP WAN traffic was 3 percent of total IP traffic in 2017 and will be 1 percent of total IP traffic by 2022.
Business IP WAN traffic was 16 percent of business IP traffic in 2017 and will be 8 percent of business IP traffic by 2022. While growth of devices and traffic are significant, the speed of the networks driving most of this growth is going up, as well. “Broadband-speed improvements result in increased consumption and use of high-bandwidth content and applications. The global average broadband speed continues to grow and will double from 2017 to 2022, from 39.0 Mbps to 75.4 Mbps,” Cisco said. Globally, the average mobile network connection speed in 2017 was 8.7 Mbps. The average speed will more than triple to 28.5 Mbps by 2022. “A crucial factor promoting the increase in mobile speeds over the forecast period is the increasing proportion of fourth-generation (4G) mobile connections. The effect of 4G connections on traffic is significant, because 4G connections, which include mobile WiMAX and Long-Term Evolution (LTE), generate a disproportionate amount of mobile data traffic,” Cisco said. Then there’s Wi-Fi. The average Wi-Fi network connection speed (24.4 Mbps in 2017) will exceed 54.2 Mbps by 2022. North America will experience the highest Wi-Fi speeds, 83.8 Mbps, by 2022, Cisco said. Globally there will be nearly 18.3 billion IPv6-capable fixed and mobile devices by 2022, up from nearly 6 billion in 2017, a CAGR of 26 percent. In terms of percentages, 64 percent of all fixed and mobile networked devices will be IPv6-capable by 2022, up from 32 percent in 2017. Looking to 2022, if 60 percent of IPv6-capable devices are actively connected to an IPv6 network, the forecast estimates that globally IPv6 traffic would amount to 132 EB per month, or 38 percent of total internet traffic. Live internet video has the potential to drive large amounts of traffic as it replaces traditional broadcast viewing hours. Live video already accounts for 5 percent of internet video traffic and will grow 15-fold to reach 17 percent by 2022. Video surveillance traffic is booming. It uploads continuously from homes and small businesses to the cloud. It accounts for 2 percent of internet video traffic today and will grow 7-fold to reach 3 percent by 2022. If use of video suveillance blossoms, it will generate a significantly more traffic, since internet-enabled cameras can produce up to 300 GB per camera per month. Globally, PCs will account for 4 percent (1.2 billion) of all networked devices by 2022, compared to 8 percent (1.4 billion) in 2017 (-2.5 percent CAGR). Tablets will account for 3 percent (790.2 million) of all networked devices by 2022, compared to 3 percent (615.6 million) in 2017 (5.1 percent CAGR). Smartphones will account for 24 percent (6.7 billion) of all networked devices by 2022, compared to 24 percent (4.3 billion) in 2017 (9.2 percent CAGR).